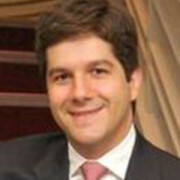 Claudio Alvarez is a PhD candidate in Marketing at Boston University Questrom School of Business. He is interested in research questions related to brand meaning that have strategic implications to marketing practice. Claudio’s two major streams of research involve consumer-brand relationships and brand idiosyncrasy. For example, he is currently investigating how consumer-brand relationships change over time and which managerial actions make brand meaning more idiosyncratic. Prior to his PhD, he worked for seven years in the strategy consulting firm Monitor (now Monitor Deloitte). Claudio is joining the faculty of Baylor University as an Assistant Professor in the Fall of 2015.